Please note that the days, times and availability may change - please check with reception. Patients to obtain form to fill out at Reception, which is then faxed over to Midwife Team who will contact you to arrange an appointment in the Antenatal Clinic. This clinic is run by midwives and monitors the progress of each patient’s pregnancy. One of our health visitors will contact you following the birth of your child. Tuesday each week - appointment via reception or by invitation. This clinic is run by a practice doctor and health visitors. It provides regular monitoring, examinations and immunisations for children eight weeks to five years of age. Monday each week - appointment via reception or invitation sent by our health visitors. This clinic is run by the health visitors and provides hearing tests, 18 month development checks, three year assessments and general advice. helping you to choose the most suitable method of contraception - free condoms supplied subject to availability. offering pre-pregnancy counselling with particular reference to those patients with conditions, eg diabetes, that may affect pregnancy. Contraception, including depo provera injections, coil fits and checks, implanon, etc. Weekly clinics run by GPs. Appointment via telephone consultation with Practice Nurse. This clinic is run by a nurse specialising in the care of patients diagnosed with asthma, COPD any other chronic respiratory conditions and includes routine annual/medication reviews. This clinic is run by a doctor and nurse specialising in the care of patients diagnosed with diabetes. This clinic is run by a nurse specialising in the care of patients with conditions such as high blood pressure (hypertension), angina and previous heart attack and includes routine annual/medication reviews. Weekly clinics - appointments via referral from a doctor. This assessment clinic is run by a community psychiatric nurse. This clinic is for minor surgical procedures such as toe nail surgery, removal of minor cysts and skin lesions. Wednesday & Friday each week - appointments via reception. Run by our in-house Pharmacist and Nurses, this clinic monitors patients on anti-coagulant medication eg Warfarin. A blood test is carried out during the consultation and the result is immediately available. Those patients who for medical reasons cannot attend the surgery will be visited by a member of our district nurse team. Appointments may be made to attend any of the following programmes during normal surgery hours. These services are principally delivered by practice nurses or health care practitioners as appropriate. Postnatal Checks provided by our nurses - appointments via reception. Smears Three-yearly checks for which qualifying women will receive a reminder letter from the Welsh Cytology Service. Advice is also given on breast self-examination techniques. 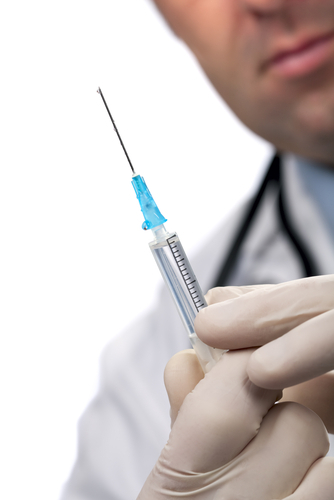 Tetanus - we advise repeat vaccination at least every 10 years up to a maximum of five doses in a lifetime. This is particularly important for those working in an environment carrying an increased risk of infection. Hepatitis B - vaccination should be obtained by those at risk of infection due to travel, employment or lifestyle. Hepatitis A - vaccination should be obtained by those who frequently travel abroad visiting areas where there is a higher risk of contracting hepatitis (if in doubt please contact one of our practice nurses). 'Flu - vaccinations are provided during the autumn/winter for ‘at risk’ patients eg those who have heart or respiratory disease, asthma, diabetes and/or aged 65 years or over. Please enquire at reception if you have some other condition that you feel may place you in the ‘at risk’ category. Pneumonia - a once only vaccination for protection against some forms of pneumonia. Recommended for those patients listed under ‘Flu’ above. Meningitis - a programme of immunisation for young adults against the Meningococcal ACWY strain. Details from reception.